Jewelry Metals : Which one is the best fo your personal style? There are more jewelry metals than just gold and silver. Even gold on its own has subgroups of metals that are used for jewelry. The cooler colors of platinum and stainless steel are also steadily gaining popularity as jewelry materials. One of the most exciting parts of building your jewelry collection is that you discover a new love repeatedly. In this case, it is a new love every time you buy fine jewelry. We’ve put together an overview of the different jewelry metals for you. Read on to learn more about each metal and how they could fit within your style. Gold will always be the reigning queen of jewelry metals. This metal has earned this title with its qualities. Gold jewelry pieces will last a lifetime if taken care of properly. Heck, it can even be your family heirloom for generations and still look fab. Gold is also a softer metal which makes it more malleable. The best part about gold jewelry is that it comes in different shades. From icy white gold to a warm yellow and romantic rose gold. Gold is considered a durable metal but it needs a little help from its other metal friends to stay strong. This is why white gold and rose gold are very popular. You can bring back the smoothness and shine of the piece by having the piece re-plated. The piece will look as good as new. Yellow gold is classy, there’s no doubt about that. 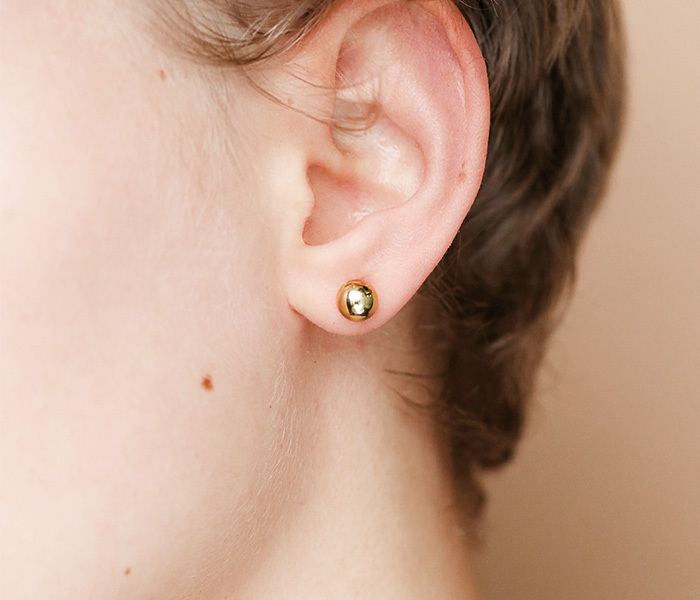 We love pairing yellow gold jewelry pieces with classic pieces of clothing. With classic, we don’t necessarily mean formal. We mean the articles of clothing that any woman has in her closet. The little black dress, the skinny jeans and tee, the white button-down and the cozy sweater. Basically, if you can’t decide between jewelry metals, then yellow gold is your best bet. White gold is a great option for jewelry pieces that you want to wear daily. Examples are your wedding band and a simple chain necklace. White gold works well with colorful clothing styles. The color of white gold won’t distract from your clothing. This is the choice for women that describe their look as classic with a twist. Rose gold is for the romantic at heart that loves feminine styles. 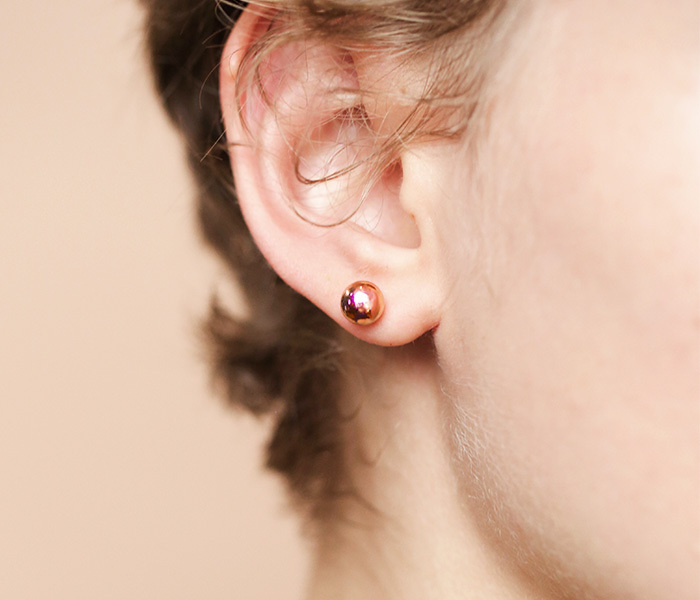 In general, rose gold jewelry looks best combined with lighter colors like whites, pastels, creams, and grays. Rose gold softens your look. Gypsy spirits and Southern gals will love how this metal flows with their wardrobe. If gold is the queen of jewelry metals then silver is the prince. Just like gold, it is a malleable metal. Similarly, silver can come in different shades but due to a different process than gold. Silver oxidizes which what makes the metal darker. Some jewelry designers will create this effect on purpose. On the other hand, oxidization can also occur on silver pieces that were not meant to have that effect. Silver jewelry pieces need a bit more TLC to keep shiny. Silver is our favorite canvas for colored semi-precious stones. The colors of these gemstones truly stand out with a silver jewelry piece. For the same reason, we love silver jewelry pieces with bold colored clothing. We also recommend silver for someone that likes to switch up its jewelry often because it is a more available metal. Platinum is the most durable of the jewelry metals. This is why platinum is our choice for investment pieces. If you have an active lifestyle, this is also the best metal for your jewelry. It is scratch-resistant, doesn’t oxidize and is hypoallergenic. Platinum jewelry pieces add shine to formal wear, especially when combined with diamonds. For day-to-day wear, choose simple designs that surpass today’s fads. We recommend platinum for minimalists but also for those with an androgynous taste. Men’s jewelry metals feature more stainless steel than women do. Honestly, we’d like to see more of it. Stainless jewelry is edgy and cool. Plus, we don’t have to worry about scratching it. Stainless steel is another great option for daily wear jewelry like your watch or a charm bracelet. 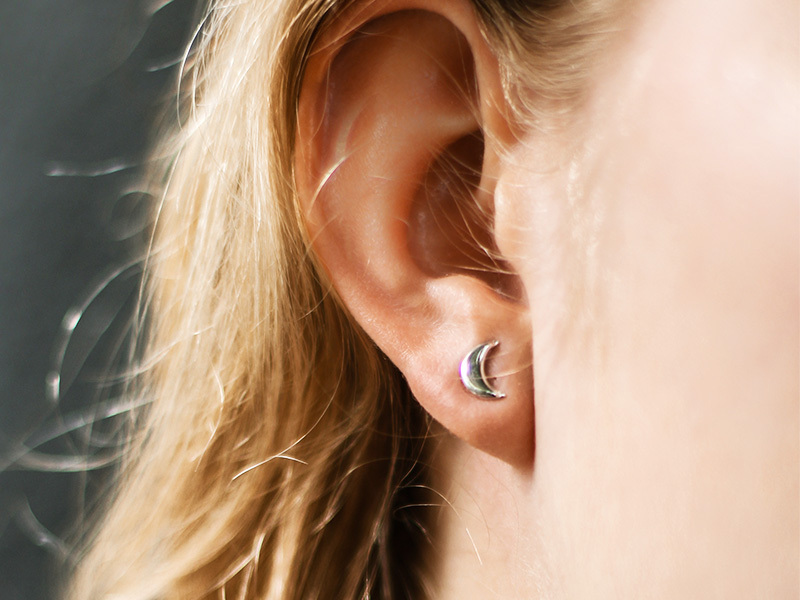 If your style focuses on function and comfortability, then try stainless steel jewelry. It is the metal for the no-nonsense women that know exactly what they want. Those were the jewelry metals options that you need to know about. Have you learned something new about these metals or realized there’s a metal missing from your jewelry collection? If you need more inspiration on jewelry metals, we are here for you. We always have more articles to guide you through. Check out our unique fine jewelry collections to see iconic and creative pieces by visiting Ana Luisa online jewelry shop.